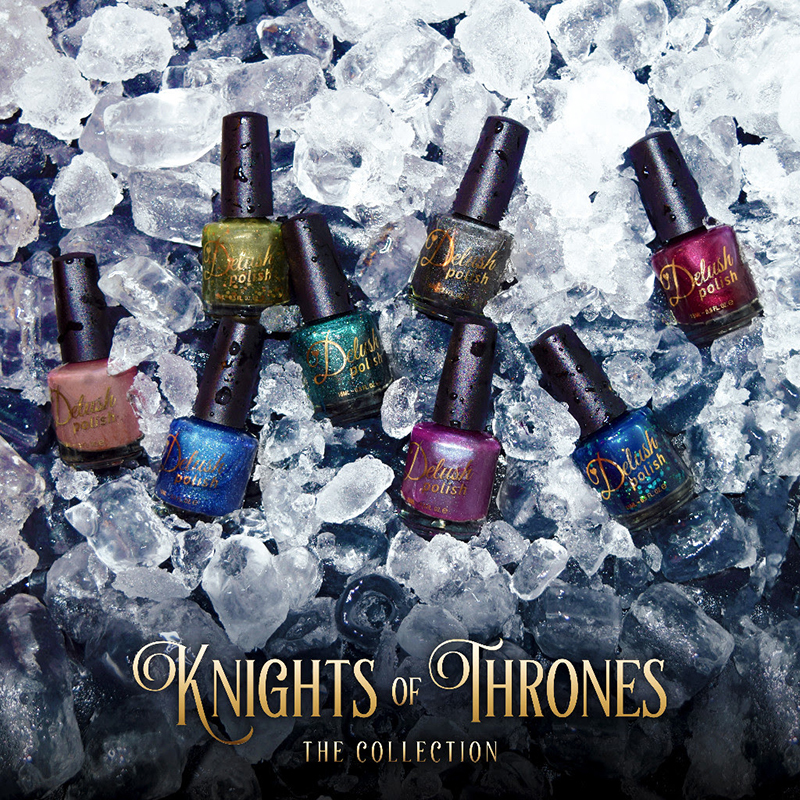 Presenting the next installment of the eagerly awaited… Knights of Thrones Collection. Inspired by pivotal male characters from Game of Thrones, our captivating shades are the perfect accessory to see you through the fall and winter because after all… winter is coming. Retails for $9.75 each or save by treating yourself to the 8 piece set at the discounted price of $75. A blackened vampy red, gleaming with a suspicious inner glow, that will make you think twice about sipping on that goblet. A murky green jelly with a blend of gold infused shimmer, accented with copper and gold holo glitters, that’s sure to give you the upper hand in any battle. A rich navy jelly, accented with our signature blend of circle and holographic glitters, that’s sure to help you reclaim what is rightfully yours. A blackened linear holo, accented with color shifting shimmer that’s bound to bring out your wicked side. A deceptively rich emerald with captivating linear holo accented with tarnished copper and holo flakies, that is sure to make everyone green with envy. A fearless cobalt blue with accenting linear holo, color shifting green shimmer and holo flakies will ensure you emerge as the courageous hero who is ready for battle. A taupe cream, dusted with delicate yet fierce copper color shifting flakies and gorgeous shimmer that's bound to make you roar! 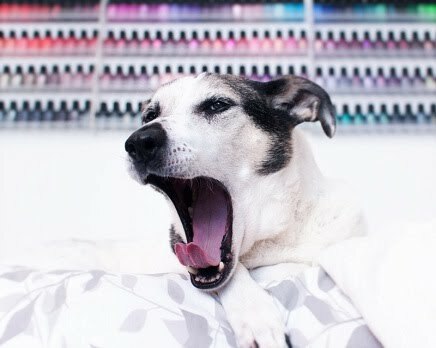 A delicious plum red, infused with color shifting blue green shimmer, that’s sure to beckon to your inner polish connoisseur.